Imagine how it would feel to have your dream come true. What would it be like to achieve your biggest goal and have all of the worry and heartache disappear? All your hard work will have paid off. Imagine saying to yourself “It finally happened!” But what to do you do next? Most of us spend so much time in our careers and personal lives working toward a major goal, we often don’t consider what comes after. How would you act? What would you do next? You may have accomplished your goal, but the world will continue to spin and everyone else will get on with their lives. Well there’s a group of people who have to answer this very question. They work for an organization with a rather large and loyal customer base built on a national brand, and a history dating to the late 1800s. But despite this visibility, its reputation had become synonymous with disappointment and failure. This began to change, however, with some recent success. And due in large part to this turnaround, the organization has doubled in value since 2013, to about $2.2 billion dollars. If you don’t follow professional sports, you may not be aware that the Chicago Cubs won the World Series in Major League Baseball this past November. While a championship season is memorable and meaningful for any professional sports team, this World Series title was particularly special for the Cubs, in that it was their first such championship since 1908. Imagine if the last time you achieved your goal baseball players dressed like this. The last time the Chicago Cubs had won the World Series was before television and radio were invented. Put another way – you’ve heard the expression “the best thing since sliced bread?” – well, for Cubs fans this literally is. You see, the Cubs last won the World Series 20 years before the invention of the automatic bread slicing machine. 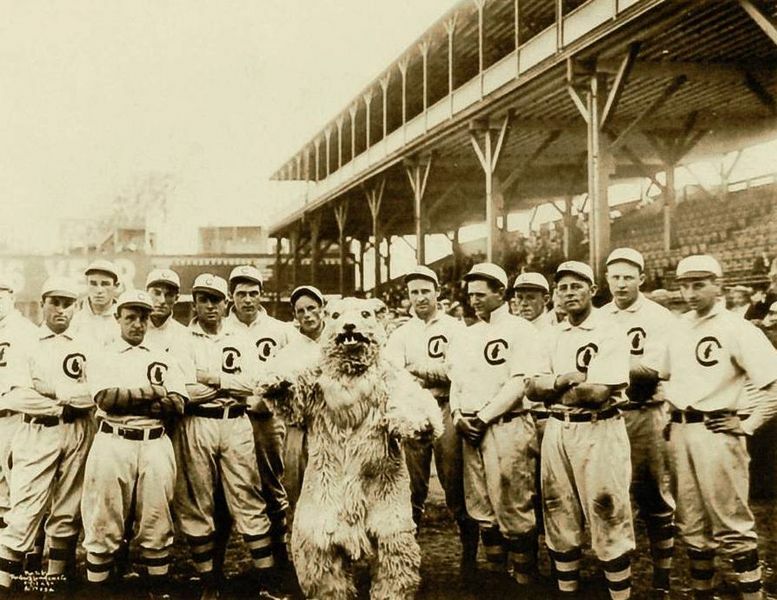 Entire generations of fans lived and died without seeing their beloved Cubs win. As a long-time Cub fan myself, though I often thought about the players, coaches, and other staff. I thought about them showing up every day, trying to get through another underwhelming season. At least I had other things to look forward to. For them, this was their job, their career. This was their entire life! Baseball teams play nearly every day from March through October, and do other important work through the winter, particularly on the management side. Can you imagine how soul-crushing that must have been to come to work every day, knowing you had almost no chance of success? So after the Cubs finally won the World Series I found myself thinking not only of my friends, family, and other Cub fans, but of all those players, coaches, and front-office staff, both past and present. 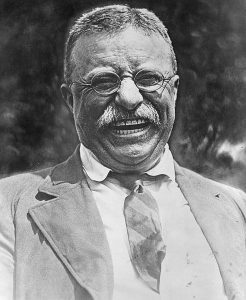 Imagine how it must have felt to accomplish something no one else in their organization had been able to do since Teddy Roosevelt was President! Congratulations on your big achievement! I’m sure you’ll think of something else to do. Here at Orbis, we also had a successful year – in fact, it’s shaping up to be our best year ever. (We didn’t end a century of heartache or anything, but it was still a pretty good year). Really talented people joined us this year and helped us with some of the best projects we’ve ever worked on. A few prudent risks paid off and we avoided any major mistakes. The year began with a few basic goals, which for the most part, we nailed. So how do we refocus to prepare for the challenges of 2017 and beyond? I’ll admit it’s a good problem to have – but there are three simple things we can do to work toward a successful 2017. While the specifics will be unique to us, anyone can apply these tools to their own situation. Choose one thing – Throughout the year you’ll experience many challenges, but you’ll likely find that some obstacles tend to pop up more often than others. Maybe it involves meetings, staffing, or inventory. It doesn’t matter. The point is, we can all think of a problem we’ve dealt with before, that will likely come up again. Choose one problem that if solved, could have a meaningful impact on your organization and commit to solving it. This can be financial, but don’t overlook problems that have emotional costs. Reducing unnecessary stress and anxiety can have a greater impact on your organization than anything that might directly affect the bottom line. Pick a deadline to solve this problem and stick to it – as soon as practical, but no more than 3-6 months – otherwise you’ll never do it. You’ll find most of these issues can be covered far more quickly. Ask colleagues or coworkers for help if you need – be accountable to each other. Help out – Maybe you had a great year, but someone else struggled. Find a way to help them. But first, let’s be clear. I’m not talking about going around doling out unsolicited advice – that won’t work, and you might damage your relationship. Instead, notice when someone asks you about something you do well – maybe you’re particularly organized or efficient. Offer to help, share what you know. There’s nothing new under the sun – many times someone is struggling with a problem you, or your group solved long ago. Help someone else, and you’ll both benefit. Help yourself – Pledge to improve something about yourself. Take a realistic look at yourself – be humble. This can be particularly meaningful to the rest of your organization if you’re in a leadership position, but anyone can do this. If you can’t think of a way to improve – I’ve got news for you – look harder. Did you have a really good year? Did you achieve a major goal? What are you going to do now? Tell me about it at ryan@orbisec.com.